Many years before Corvette came to town, racers knew the name Bowling Green, Kentucky for its infamous drag strip nestled among the beech trees that lined the bend in the Barren River. The generations-old tradition of burning rubber on the strip at Beech Bend Raceway is still alive and well, and visitors can be a part of the nostalgic action almost every weekend from mid-March through Thanksgiving weekend. 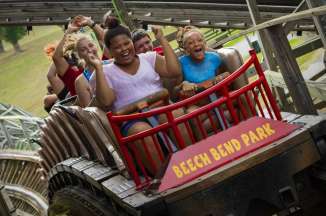 Beech Bend is an auto racing facility that is nationally recognized for its drag strip as well as a storied oval track once busy with stock car racing but now more widely used for drifting competitions and vendor showcases. 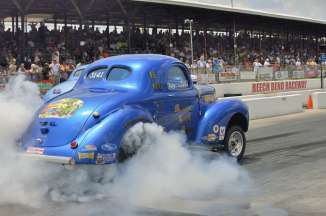 Race car enthusiasts can enjoy Fun Racing on Tuesday and Friday nights, NHRA drag racing on Sundays and dozens of national automotive events throughout the year. 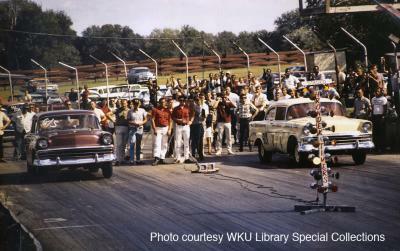 The first stock car races were held at Beech Bend Raceway in August 1951 followed by the drag strip&apos;s installment in 1956. Originally a simple graded surface, the stretch was paved before the end of the first season as interest in the sport increased virtually overnight, and continual upgrades were made until the strip qualified to host National Hot Rod Association sanctioned events. And the rest, as they say, is history! Hours and prices vary by event. Visit the individual listings below for more details and contact information.